Why I May Still Be Canadian is an irreverent look at all things Canadian and Israeli by a Canadian expat who somehow ended up in self-exile somewhere in the empty expanse of the Negev desert. 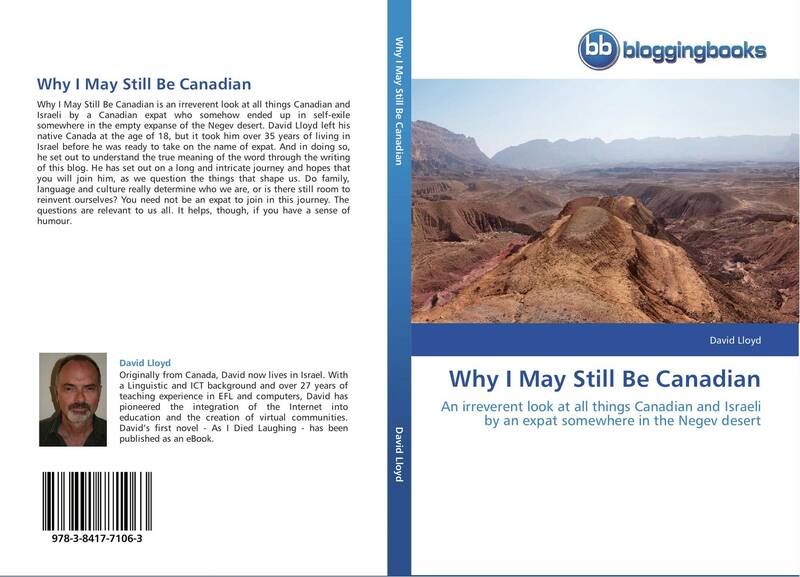 David Lloyd left his native Canada at the age of 18, but it took him over 35 years of living in Israel before he was ready to take on the name of expat. And in doing so, he set out to understand the true meaning of the word through the writing of this blog. He has set out on a long and intricate journey and hopes that you will join him, as we question the things that shape us. Do family, language and culture really determine who we are, or is there still room to reinvent ourselves? You need not be an expat to join in this journey. The questions are relevant to us all. It helps, though, if you have a sense of humour.